So you think you want to be a LaSallian? But do you have what it takes? 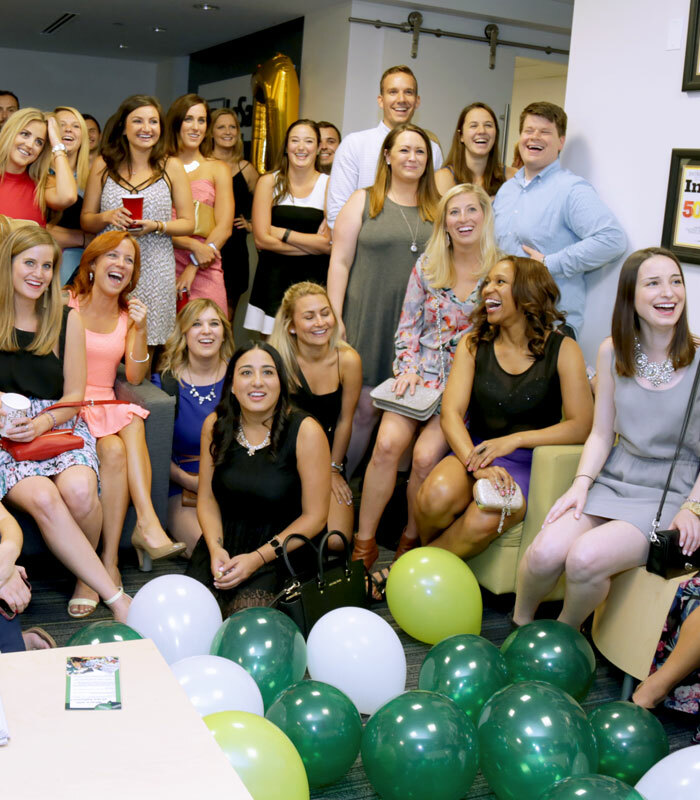 We’re one of the fastest-growing staffing and recruiting firms in the country. 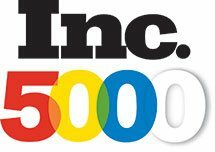 We’re an 11-time veteran of the Inc. 500/5000 list of fastest-growing private companies and we’ve been named a Best Place to Work by Crain’s Chicago Business for four years in a row. We didn’t get here by treading water. No matter what generation you’re part of, nobody combines personalities and creates career culture better than LaSalle. We work hard, and we have the hardware to prove it. 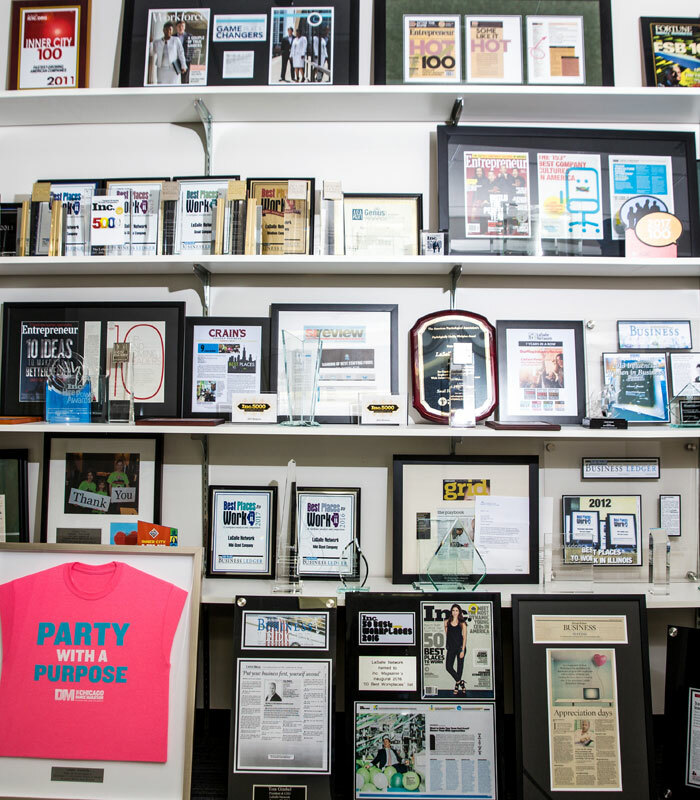 We’ve been recognized by some of the biggest publications for our growth and our culture. Take a look. While we’re growing nationally, we’re dedicated to helping our local communities, too. We’re proud to partner with organizations like Ann & Robert H. Lurie Children’s Hospital of Chicago, the Pat Tillman Foundation, Special Olympics, and Ounce of Prevention to give back through fundraisers, donation campaigns, volunteering, and 5K races. 401(k) Matching: We offer a company match for all employees. Transit Benefits: LaSallians can enjoy tax-free transit benefits. Healthcare: We offer full medical, dental, prescription, and vision plans. All-Company Incentive Trips: When we hit our revenue goals, the entire company goes on a trip. Wellness Programs: Enjoy a fully equipped gym in the building. Training & Career Development: We offer in-depth internal training, mentoring, and tuition reimbursement. Rebirthdays: We celebrate each employee’s work anniversary with food, speeches, gifts, and plenty of balloons. Opportunity: 90% of our management has been promoted from within. 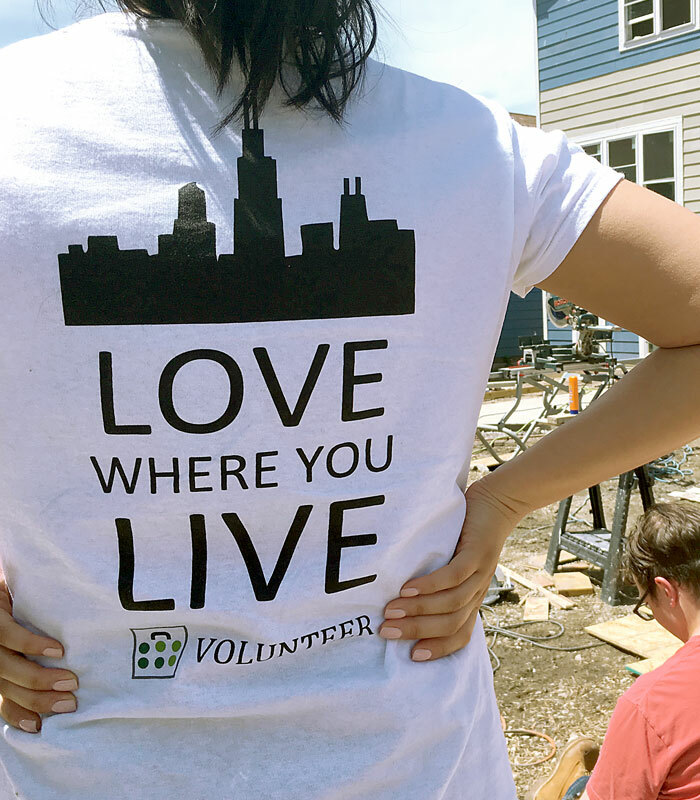 Corporate Philanthropy: LaSallians enjoy PTO to volunteer with organizations they support. Think you have what it takes to be a LaSallian?